The 2015 NTPA Awards Banquet officially wrapped up the NTPA season on December 5, 2015. Champions and special award winners took to the stage and the 2015 NTPA Hall of Fame inductees were honored. Join us in celebrating their accomplishments in this footage of the evening. The 2015 Enderle Pull-Off Champions have been crowned! For the first time ever, competitors from 12 GN and 12 RN classes converged on the pulling track at the Champaign County Fairgrounds in Urbana, Ohio. That adds up to 50 RN competitors and 60 GN competitors, and all the action can be re-lived on this DVD set. Pick up your copy today and witness the premier all-star event in truck and tractor pulling. 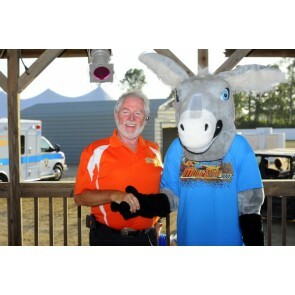 Video coverage from the 2015 Mule City 300 Grand National Pull in Benson, North Carolina. Sessions I and II feature Grand National Open Super Stocks, Light Unlimiteds, Super Farms, FWD, TWD and Mini Modifieds. 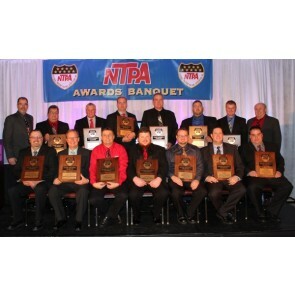 Have you ever wished you could see the Champions honored at the Annual NTPA Awards Banquet? Or perhaps you were there but want to relive the night? Now is your chance. This DVD features the entire night's proceedings from December 6, 2014. Watch as the Grand and Regional National Champions trade in their firesuits for formalwear and celebrate a season of hard work. The 2014 Enderle Pull-Off Champions have been crowned! Catch a peek at all the action on this two-disc set featuring the top competitors from 11 Grand National divisions and three Regional National divisions. The action took place on September 13, 2014 in Urbana, Ohio. Another season is in the books, along with a spectacular 26th Annual Enderle Pull-Off. The top competitors from eight Grand National divisions and four Regional National divisions collided in Urbana, Ohio for this season-finale event on September 15, 2012. Another season is in the books, along with a spectacular 24th Annual Enderle Pull-Off. The top competitors from eight Grand National divisions and four Regional National divisions collided in Urbana, Ohio for this season-finale event on September 18, 2010. 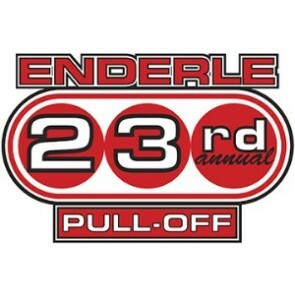 If you missed the action of the 23rd Annual Enderle Pull-Off, now is your chance to take it all in! The top competitors from eight Grand National divisions and four Regional National divisions collided in Urbana, Ohio for this season-finale event on September 19, 2009. Limited quantities of this two-DVD set are available. Purchase yours today!